mathematics and physics « CONSTABLE RESEARCH B.V. 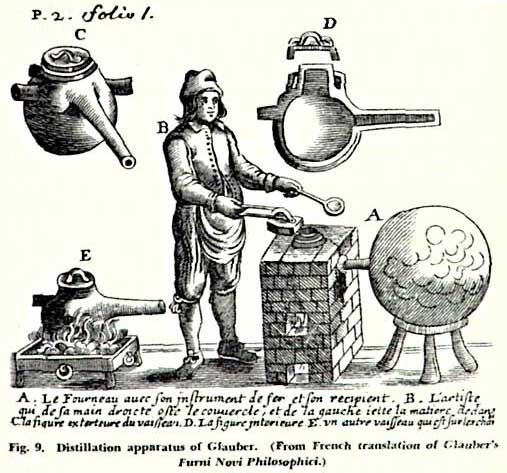 This blog is about Logic, Alchemy and the relationship between Logic and Alchemy. Classic Logic is based on the Square of Opposition of Aristotle. This square was discussed for more than 2000 years. Recently scientists detected that the Square is really a Cube. It misses an extra dimension. The Square describes the six oppositions (“dual combinations”) of possibility (“some”, Particular Affirmative), necessity (“all”, Universal Affirmative), not-possibility (“not some”, Particular Negative) and not-necessity (“not all”, Universal Negative). Geometric Logic is a part of Modal Logic which is a part of Logic. 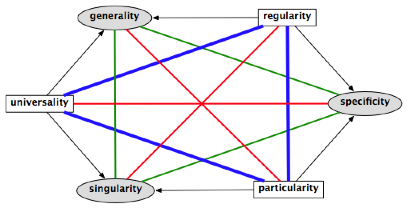 In Geometric Logic the Linguistic Representations of Logic are mapped to the Graphical Representations of Geometry. Modal Logic works with the notion that propositions can be mapped to sets of possible worlds. The idea of possible worlds is attributed to the famous mathematician Gottfried Leibniz (1646-1716), who spoke of possible worlds as ideas in the mind of God and argued that our actually created world must be the best of all possible worlds. 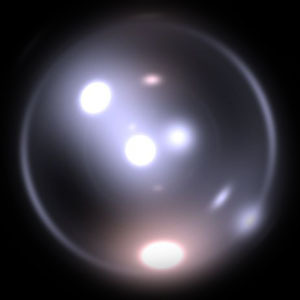 Possible worlds play an important role in the explanation of Quantum Mechanics. 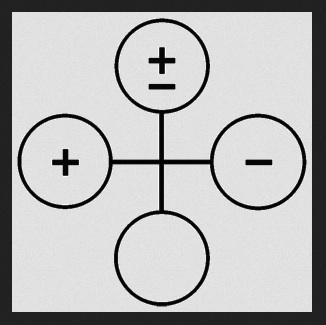 Alchemy is based on the Square of the Four Elements. The Four Elements are oppositions. The oppositions of Alchemy are related to the oppositions of the Square of Opposition of Aristotle in an orthogonal model. They form an arc of 90 degrees, which makes Alchemy the complex part (imaginary) of Logic. In his work De Arte Combinatoria Leibniz developed a general theory of science that was based on a fusion between Alchemy and Logic. 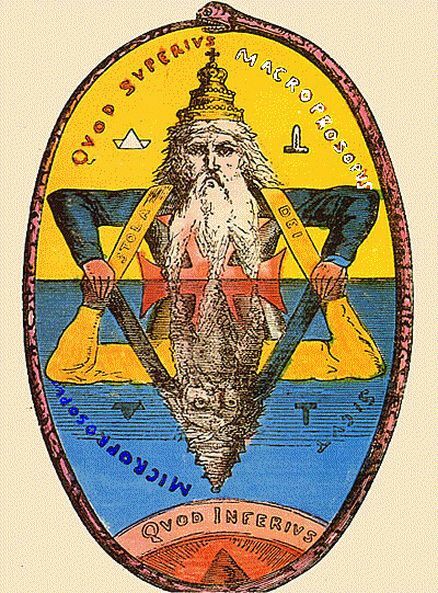 In this blog I will explain Alchemy and Logic and show that Alchemy and Geometric Logic share the same geometry, the Hexagon (the Seal of Solomon), which is a 2D-mapping of the Cube of Space of the Sefer Yetsirah. 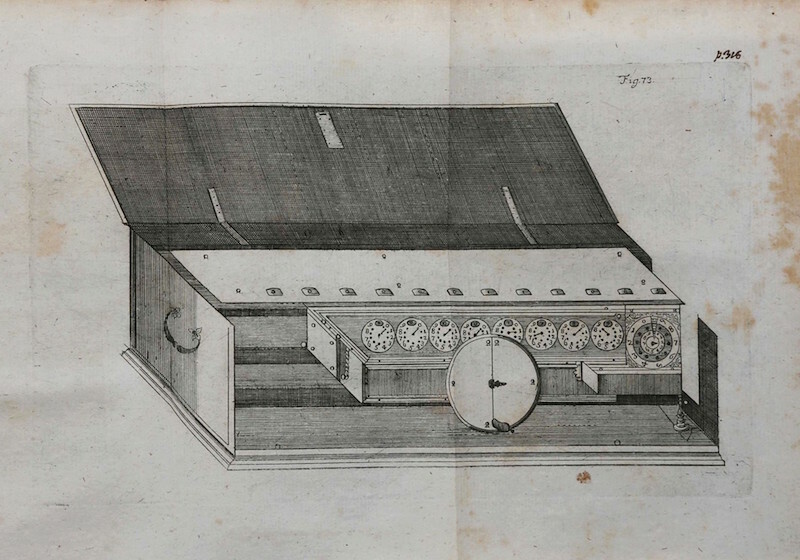 Drawing of Leibniz’s calculating machine, featured as a folding plate in Miscellanea Berolensia ad incrementum scientiarum (1710), the volume in which he first describes his invention. Then is all the secret found. One of the most complicated ancient architectures is the architecture behind Alchemy. 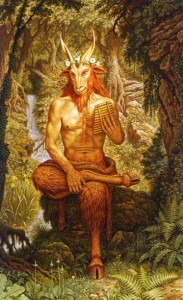 The architecture of Alchemy is full of strange concepts and allegories. Alchemy comes from the Arabic al-khemia meaning the Black Soil of Egypt (or the ((Egyptian) Black Art). Alchemy is the art of transformation. Alchemy is an ancient science that was practiced all over the world. The most famous teacher was called Hermes Trismegistus in Greece and Thoth in Egypt. The old science of Hermes came back in the Renaissance. The essence of Alchemy is called REBIS (Res Bina), Double Matter. 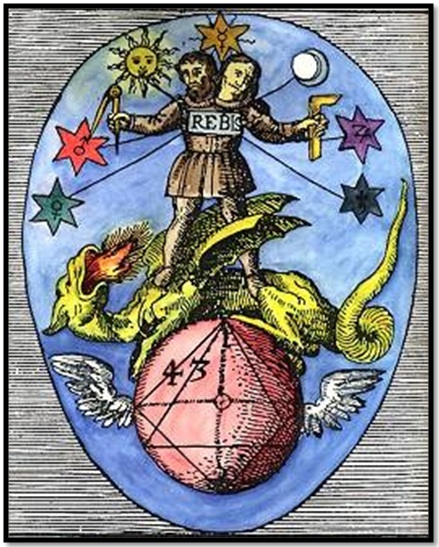 REBIS is the end product of the alchemical magnum opus or Great Work. It is the Fusion of Spirit and Matter (the Body). Spirit is the Creative Part of the Human. 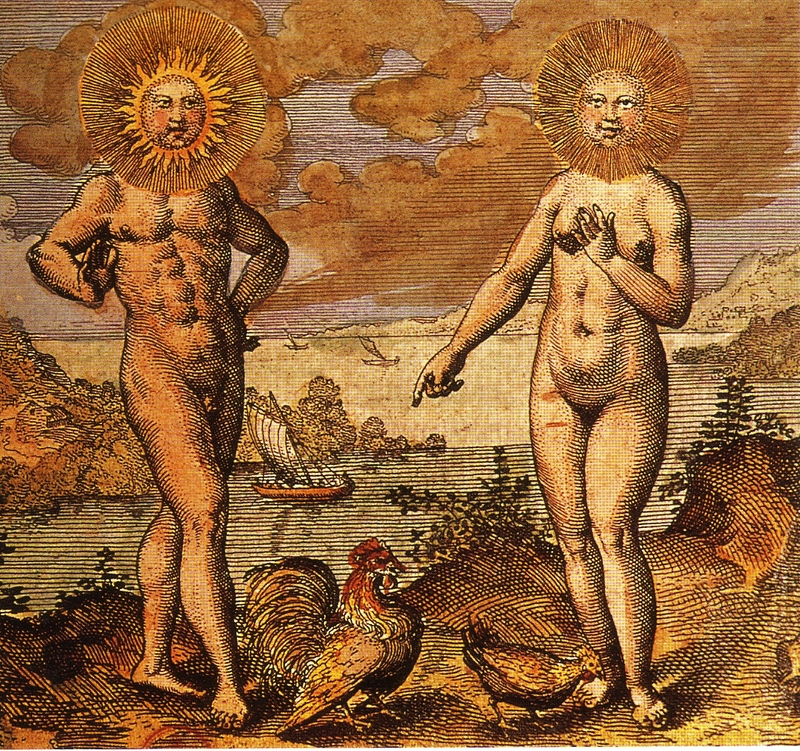 Double matter is sometimes described as the divine hermaphrodite, a being of both male and female qualities as indicated by the two heads within a single body. 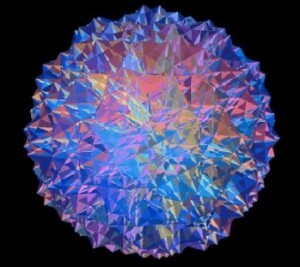 The Great Work is the chemical and personal quest to create Double Matter, the Philosopher’s Stone, Spirit in Matter. The Stone is the agent of chemical transmutation, and the key ingredient in the creation of the elixir of life, said to heal all diseases, induce longevity and even immortality. In current Physics transmutation is proved at room temperature in a proces called Cold Fusion. In Physics one explanation for the fusion between Quantum Mechanics and Gravity is called the Wheeler Feynman Absorber Theory. In this theory the Future causes the Past and vice-versa. We are always in the Now, the Middle between Past & Future. The Future and the Past are created by the Intention of the Observer, we call Measurement. The aim of the Great Work is a fusion with the One (the Blazing Star, Saturn, Point) that is divided in the Two (Sun & Moon, Male & Female, Line) and the Four Planets (Square), the 12 (4×4-4) Constellations or more structures based on a power of a power (of a power….) of 2. The Great Work moves from 2**N, …., Sixteen to Four to Two to One (or from one to two to four) in a Spiraling Spiral Motion. 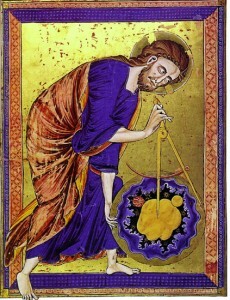 The One, to which the elements must be reduced, is a little circle in the center of the squared figure (the cross). The cross is the mediator, making peace between the opposition of the planets. The winged dragon represents First Matter (Quintessence, The Fifth Element) and suggests ascension, a merging of matter (body) and spirit (Creativity). Creativity (Enthusiasm, Spirit, Inspiration, Imagination) is the engine behind the Spiral Wheel. The First Matter is the primordial chaos comparable to what we now call the vacuum, the state of lowest energy. This state contains all possibilities. It can be looked on as an unorganized state of energy that is the same for all substances and exists in an invisible state between energy and matter. The First Matter is the One, the Point in the Middle of the Circle. In current physics a point is called a singularity or a black hole. Alchemy is about re-combination summarized in the Latin expression Solve (break down in separate elements) et Coagula (coming back together (coagulating) in a new, higher form). Solvite Corpora et Coagulata Spiritus (“dissolve the body and coagulate the spirit”). Earth (Body) becomes Water (Spirit) by dissolving it in some solvent. Water becomes Air (a moist vapor) by boiling, which further heating turns into Fire (a dry vapor). Finally Fire becomes Earth by allowing the vapors to condense on a solid material (a stone). The circulation may repeat if it is done in a reflux condenser, such as the Pelican or kerotakis. The Pelican is the Symbol of the Heart Chakra the connector between the Upper- and the Lower Triangle of the Body. According to the early alchemists, the four elements—fire, water, air, and earth—come into existence via the combination of specific qualities, recognized as hot, cold, wet, and dry, being impressed on to the Prime Matter. For example, when hot and dry are impressed on the Prime Matter, we have fire. (Hot and Cold) and (Wet and Dry) are oppositions. Their fusion is the empty set. (Hot or Cold) and (Wet or Dry) can be combined -> (Hot, Wet), (Hot, Dry), etc. The Cold allows substances to get together. The Hot is the power of separation. Wet things tend to be Flexible (Fluent, Movement, Self, Not-Agency) whereas Dry things are fixed and structured (Agency, Resistance, not-Movement). When the qualities are changed, the elements themselves are changed. Adding Water to Fire substituting wet for dry; hot and dry becomes hot and wet: steam, or Air. As you can see in de picture below Hot & Cold and Wet and Dry are Binary Opposites (“lines”) that are voided by the central cross, the point of the Empty Set, The Void (A and not-A -> Empty). Hot & Dry = Fire, Hot & Wet = Air, Cold & Wet = Water and Cold & Dry = Earth. There are four types of Trinities the Passion-trinity (Dry, Wet, Warm), the Structure-trinity (Dry, Wet, Cold), the Resistance-trinity (Warm, Cold, Dry) and the Movement-trinity (Warm, Cold, Wet). The Square rotates. The wheel of the Square is driven by the four qualities. Wet on the rising side, Hot on the top, Dry on the descending side, and Cold on the bottom. The start is powerless (Cold). By becoming more flexible (Wet) success and power comes (Heat). At the top Rigidity (Dry) undermines the system and it falls back to a powerless state. The four Elements all share the Triangle of the Holy Trinity. Every Trinity is seen from another perspective. The two triangels, The Up-triangel and the Down-Triangel, are Opposites that are created out of two triangels that contain two Opposites that are fused. Humans are opposites in opposition. Humans are part of the Bilateria, animals with bilateral symmetry. Humans can be described as a fusion of two mirrored bilateral triangles, the Up-triangel related to the Top of the Body (Mind) and the Bottom-triangel of the lower Body both connected by the Heart. The two triangels and the separate triangels have to be balanced. 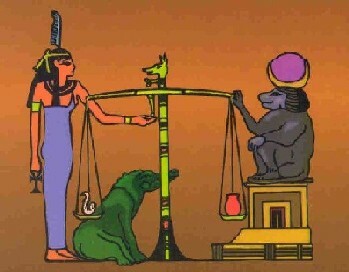 The principle of Balancing the two Triangles of Top & Bottom of the Body is represented by the Egyptian Goddess Ma’at who weights the Heart (the connector of Up and Down) of the Dead with her Feather (Nothing). 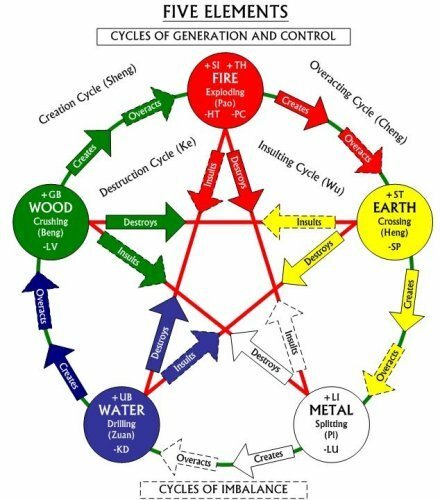 As you can see the Square of the Cycle of the Four Elements is visible in the picture below. The total picture shows a Hexagram with a Center (The Cross). The points that are missing in the Square are the top- and the bottom of the two triangels which are the Whole (Up, Heaven) and the not-Whole, Emptiness, the Bottom (Hell). A hexagon is a 2D-projection of a Cube. The hexagon of Solomon can be transformed into the Cube of Space of the Sefer Yetsirah. The Cube of Space can be transformed into the Tree of Life. The Tree of Life also called the tree of knowledge or world tree connects heaven and underworld and all forms of creation and is portrayed in various religions and philosophies all over the world. The Spiral of Alchemy is about the Chemical Transformation of the Body by the Conceptual Transformation of the Mind. The Tree of Life shows the levels/scales (three) and possible paths of the Opus Magnum, the alchemical journey. People have always believed in the fundamental character of binary oppositions like Hot & Cold and Wet & Dry are used in Alchemy. In this part we move to the Field of Logic. In this case Hot/Cold and Wet/Dry transform into Necessary /Not-Necessary and Possible/not-Possible. Digital oppositions, contradictories, contain mutually exclusive terms (Gender (Male/Female)). Analogue oppositions, antonyms or contraries: contain terms that are ordered on the same dimension (Temperature (Minimum->Cold/maximum->Hot)). The doctrine of the square of opposition originated with Aristotle in the fourth century BC and has occurred in logic texts ever since. 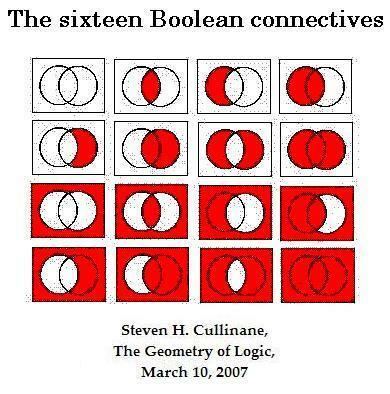 The logical square is the result of two questions: Can two things be false together? Can two things be true together? This gives 4 possibilities: no-no: contradiction (A/O, E/I); no-yes: subcontrariety (I/O); yes-no: contrariety (A/E); yes-yes: subalternation (A/I, E/O) better known as implication (A->B). The square of opposition was debated for many reasons for more than two thousand years. One of the discussions is about the difference between possible and necessary. In the so called Master Argument Diodorus proved that the future is as certain and defined as the past. The essence of logic (necessaty) implies the non-existence of freedom (possibility). X is possible if and only if X is necessary. The term ‘possible’, in Aristotle’s view, is ambiguous. It has two senses known as one-sided possibility and two-sided possibility (or contingency). Being two-sided possible means being neither impossible nor necessary, and being one-sided possible simply means being not impossible. Leibniz distinguished between necessary Truths for a Reason, which are true for a reason—i.e, their opposite is a contradiction—and contingent truths, (Truth for a Fact) such as the fact that the president of France is François Hollande. A contingent truth cannot be proved logically or mathematically; it is accidental, or historical (based on facts (events)). Modal Logic is about the fusion of necessity and possibility, contingency. A is interpreted as necessity: the two propositions must be either simultaneously true or simultaneously false. A is a Proof or Law. E is interpreted as impossibility. E is an Observation that contradicts the Proof of A.
I is interpreted as possibility: the truth of the propositions depends on the system of logic being considered . I is an Idea implied by the Proof that Contradicts E.
O is interpreted as ‘not necessarily’. O contradicts A.
U is interpreted as non-contingency: neither logically necessary nor logically impossible, its truth or falsity can be established only by sensory observation. Y is interpreted as contingency: propositions that are neither true under every possible valuation (i.e. tautologies) nor false under every possible valuation (i.e. contradictions). Their truth depends on the truth of the facts that are part of the proposition. Y is a possible proven theory. The Logical Hexagon has the same geometry as the Seal of Solomon. It contains the Square of Opposition (A,E,I,O). The Logical Hexagon can be transformed just like the Seal of Solomon to the Cube of Space now called The Cube of Opposition. The Logical Hexagon is used in many fields of Sciences like Musical Theory or Scientific Discovery. Every opposite can be defined by a string of zero’s and one’s like 1010. An opposite is 0101. This means that there are 2**4/2 = 4×4/2= 16 / 2 = 8 possible opposites. This is called the Octagon of Opposites. The Octagon contains six reachable and two unreachable points in the Center (0000, 1111), the Empty Set (the Void, the Hole, Contradiction) or its Opposite (The Whole, Tautology). 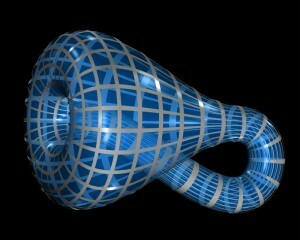 It is clear that it must be possible to create higher dimensional models based on n-based-logics. When n becomes very big the geometry will tend to a n-Dim circle in which every point is in opposition to the point at the other side. The big problem with n-based logics is language. We don’t have the names to articulate the many grades of opposition that are possible. The other problem is that a negation is not a symmetric operation (A = not-not-A) but a rotation with an angle 360/n. The n-opposite-geometries are highly related to Simple Non-Abelian Groups (SNAGs). They play an important role in biology. The last step is to transform the static n-opposite geometries by making n very large (infinite) to a dynamic “opposition field”. In current Psychology Hot & Cold are called Communion and Moist & Dry, Agency. Together they create the so called Interpersonal Circumplex. The four stages of Learning by Jean Piaget. The mathematical model behind the theory of Piaget is called the Klein Four Group or Identity/Negation/Reciprocity/Correlation-model. 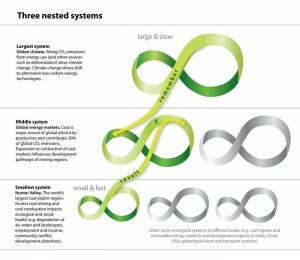 In the Science of Ecology (Panarchy) Agency & Communion are called Connectedness and Potential. 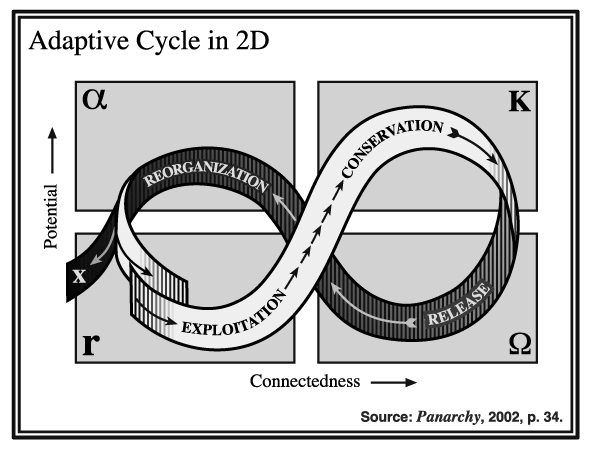 The Panarchy model looks like a Mobius Ring. 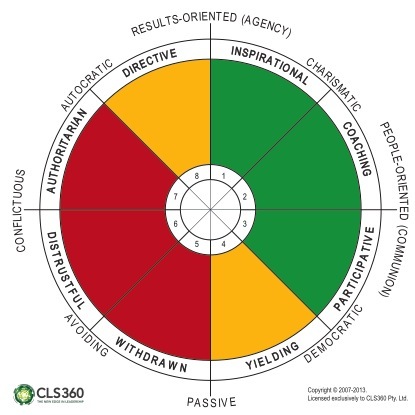 The Chinese Sheng-Cycle: The Chinese Five Element Model is comparable to the Western Four Element model. It contains as a Fifth Element, the Whole-Part-relationship (Earth, Observer State). Emptiness (Nothing, the Tao) is represented by the recursive Pentangle inside. 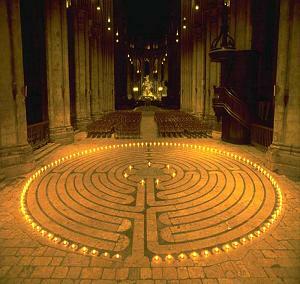 “When thou hast made the quadrangle round, then is all the secret found“. When You have moved once through the Cycle you have seen Everything there is to See. The only way to move out of the Cycle is to jump into the wHole in the Middle. The secret: It is impossible to move though the center because the paths that go through the center are a contradiction or a tautology (I am what I am, JHWH). 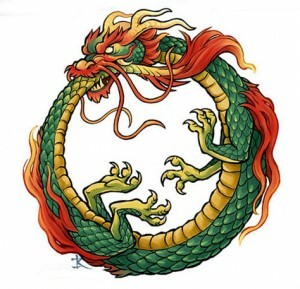 We have to move with the Cycle (making the rectangle round (a circle)), around the Singularity (the Hole of the Whole), going Up and going Down all the time. Diminishing the amount of dimensions (“becoming Simple”, “like Children”) by moving up in abstraction (Hot & Cold -> Temperature -> Everything is Energy) to the level of zero dimensions, a point, becoming One with the First Matter (Tao, Vacuum, The Kingdom). “If we then become children, would we thus enter the kingdom?” Jesus said unto them, “When ye make the two one, and when you make the inside like unto the outside and the outside like unto the inside, and that which is above like unto that which is below, and when ye make the male and the female one and the same, so that the male no longer be male nor the female female; then will ye enter into the kingdom.” (Gospel of Thomas, Logion 22).